The park is the third largest in Thailand. 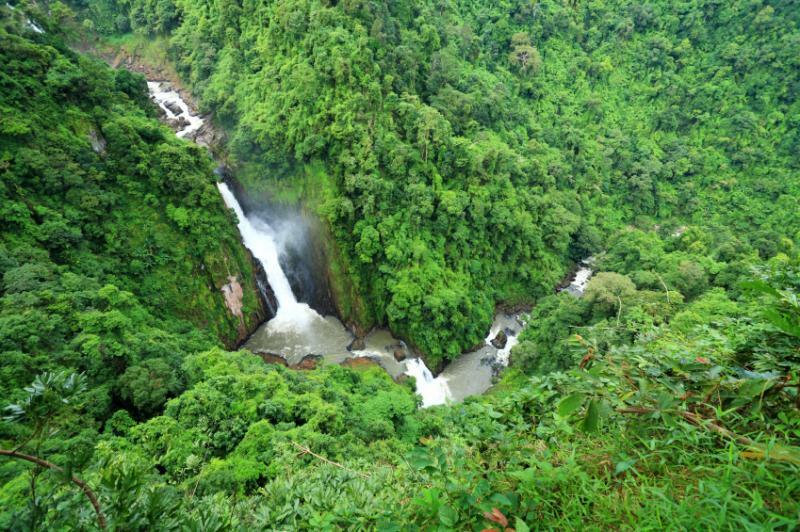 It covers an area of 300 square kilometers, including tropical seasonal forests and grasslands. Elevations mostly range from 400–1,000 m. There are 3,000 species of plants, 320 species of birds like red jungle fowland coral-billed ground cuckoo, and 66 species of mammals, including Asian black bear, Indian elephant, gaur, gibbon, Indian sambar deer, southern pig-tailed macaque, Indian muntjac, Ussuri dhole, and wild pig. There are no tigers in Khao Yai, and there haven't been any for at least twenty years. Its waterfalls include the 80 metre Heo Narok, and Heo Suwatmade famous from the film The Beach. Recent wildlife studies show that animal ranges, particularly the few resident tigers, are impacted by human activity near the center of the park. This study has not deflected the government's call for private lodging concessions within the park itself.